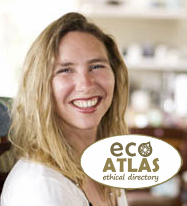 Eco Atlas empowers you to make better lifestyle and travel choices for the planet, your family, your business and yourself. 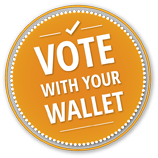 South Africa's all-inclusive ethical platform provides a unique search function which enables you to find places to eat, shop, stay and play according to the priorities that are important to you as a responsible traveller and conscious consumer. "I'm passionate about providing proactive tools so we can overcome the great disconnect and have a true sense of the part we play in this web we call life, enabling a viable future for all." 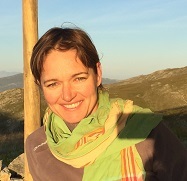 Gina Ziervogel lectures at UCT in the Dept of Environmental & Geographical Science. She has focused her research on climate change vulnerability and adaptation and has an interest in social-ecological system transformation. She is passionate about transdisciplinary and applied research, has worked with a range of academics, local communities, NGOs and local government and been involved in a number of local and international activities around climate and development. 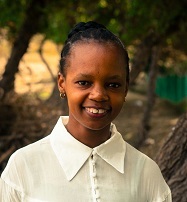 Xoli Fuyani is an Environmental Educator at the Earthchild Project. For more than 15 years she has been working in the NGO sector, offering complementary education to Primary Schools and communities with a focus on environmental education and self development. Her approach to education is holistic, reconnecting the children to self, nature and the world around them. Her wish is to inspire children to play a role in our societies by creating the change they want to see, by learning and developing a sense of UBUNTU (humanity), because we all have the ability to enhance or change the current situation. 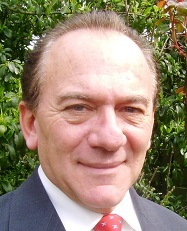 Errol Finkelstein is a marketing and technology strategist, and qualified Chartered Accountant (SA). 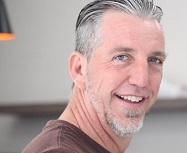 A former SAB GM who subsequently partnered with and worked at MasterCard International New York integrating their biggest global corporate customers with SAP. He is the Founding Chairman of the Garden Route Biosphere Reserve. Pierre Heistein is a macroeconomic consultant specialising in Sub-Saharan Africa. 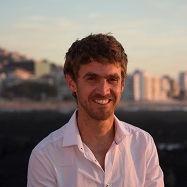 He works as an independent specialist for a range of leading consultancies including 10EQS Consulting Services in the U.S. and Oxford Analytica in the U.K. For the last 6 years Pierre has written a weekly column for The Business Report in South Africa. Martin Wolfaardt has a diverse background that encompasses a post-graduate degree in theoretical physics, a few unpleasant years in the financial markets, ownership of a small web development business and his current role as CTO for an international company in the Talent Analytics space. His passion for jazz improvisation reflects an evolving realisation that the only hope we have of leaving our children a habitable planet is to respond to the incessant madness of modernity with creativity, positivity and meaningful personal development. 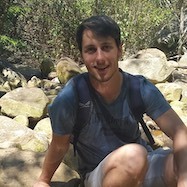 Craig Armstrong is an enthusiastic Computer Science graduate currently working as a software developer. He has an inquiring mind and a passion for learning. He always rises to the challenge of solving complex technical problems and takes pleasure in helping find solutions. "Innovative projects like Eco Atlas are essential to give citizens the tools to choose between those businesses that are in it just for the money and those that are using their capabilities on all fronts to build a better future for all."